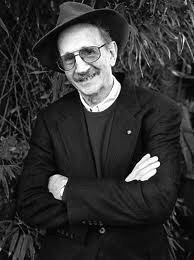 On Aug. 10, poet Philip Levine was named the U.S. Poet Laureate by James Billington, Librarian of Congress. Billington called Levine the “laureate of the industrial heartland’ who writes with the voice of the ordinary workingman. Levine has published more than 20 collections of poetry. What Work Is: Poem won the National Book Award in 1991 and “The Simple Truth, ” published in 1995, received the Pulitzer Prize for Poetry. He’s also won many other awards and honors. At 83, Levine is one of oldest laureates to be named. New York Times: Voice of the Workingman to Be Poet Laureate. Levine’s biography at the Academy of American Poets. Levine’s biography at The Poetry Foundation. The Library of Congress news release, which includes a list of all of the U.S. poet laureates. I had to smile when I read the brief in the NYTimes that Levine’s books are selling out. It’s amazing what a little publicity will do for one’s career. I first heard Levine read in the early ’70s at college. I think I still have the program from that evening. I went out the next day and purchased his work. The pages have turned yellow and a bit brittle. I like that poem, maybe especially because I’m going to the mountains next week. I’ll try to sniff the salt. I like this guy and his landscape!